This kit is designed for those of you who already have a Scotts stabilizer and frame bracket and would like to go sub-mounted. Choose the kit option for your specific needs. 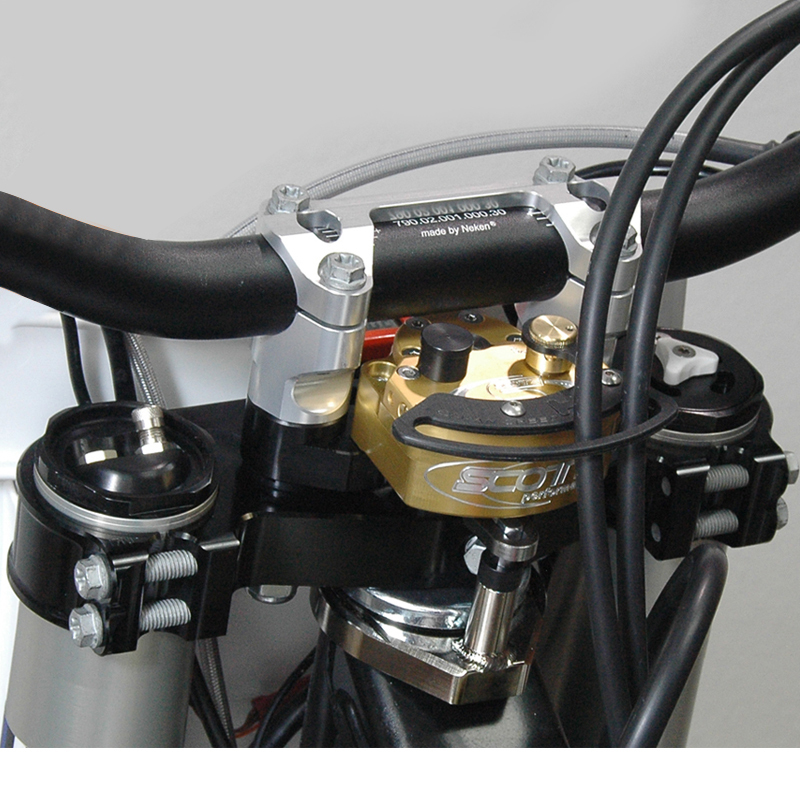 Designed to mount a Scotts stabilizer below the handlebar using your O.E.M. cast or billet triple clamp. The BRP Rubber Mounted SUB adapter mounts to the existing rear bar mount holes and allows you to run in position 3 which is the most common and popular position. 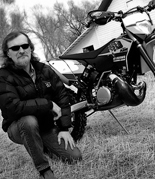 Sub-mounting a stabilizer offers several benefits over a conventional above bar setup and is becoming a very popular setup for GP’s, motocross, off road, dual sport applications and riders of taller stature. Be sure to select the proper year, model and triple clamp in order to get the correct part for your order. When running a stabilizer in the sub mount configuration, the stabilizer link arm will need to be reverse mounted going under the body of the unit. To reverse the link-arm we recommend using a Scotts Link-Arm Puller (sold separately). 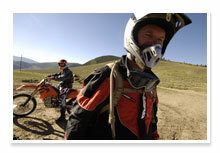 NOTE: This unit cannot be used with Cycra Center Reach (CRM) mount handguards. Does not fit KTM XCW/EXC models.